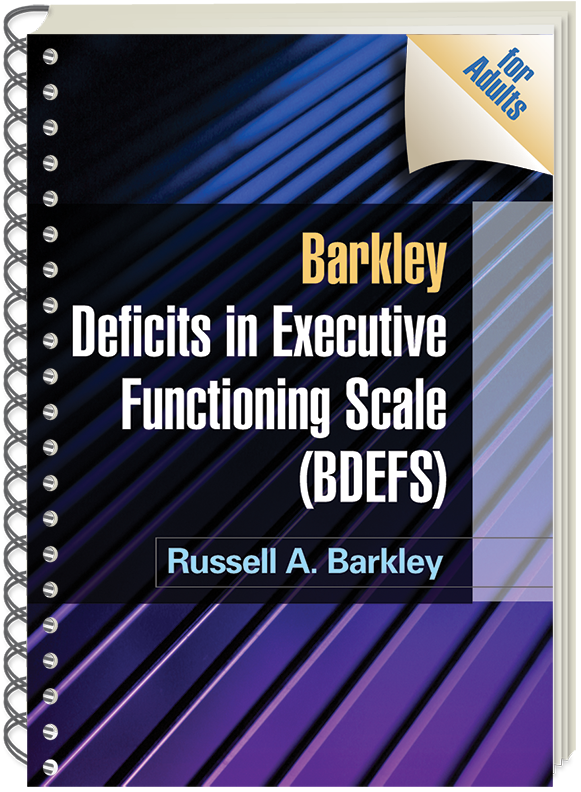 The Barkley Deficits in Executive Functioning Scale (BDEFS for Adults) is an empirically based tool for evaluating dimensions of adult executive functioning in daily life. Evidence indicates that the BDEFS is far more predictive of impairments in major life activities than more time-consuming and costly traditional EF tests. The BDEFS offers an ecologically valid snapshot of the capacities involved in time management, organization and problem solving, self-restraint, self-motivation, and self-regulation of emotions. It comprises both self- and other-reports in a long form (15-20 minutes) and a short form (4-5 minutes). Special features include an adult ADHD risk index in the long form. Complete instructions for scoring and interpreting the scale are provided. What does it do? : Provides an ecologically valid assessment of executive functioning deficits in daily life activities. Administration Time: Long Form: 15-20 minutes. Short Form: 4-5 minutes. Format: Self-report plus other-report (for example, spouse, parent, or sibling) rating scales. Cost of Additional Forms: No cost—purchasers get permission to reproduce the forms and score sheets for repeated use. See also the Barkley Deficits in Executive Functioning Scale—Children and Adolescents (BDEFS-CA) and Barkley's authoritative book on EF development and deficits, Executive Functions. 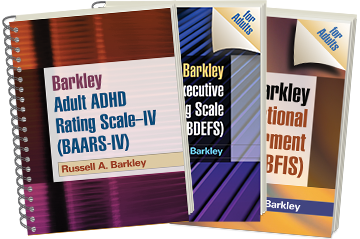 Also available: Barkley Adult ADHD Rating Scale—IV (BAARS-IV) and Barkley Functional Impairment Scale (BFIS for Adults). Enhancing the convenience and value of the BDEFS, the limited photocopy license allows purchasers to reproduce the forms and score sheets and yields considerable cost savings over other available scales. The large format and sturdy wire binding facilitate photocopying.